This article is about how to get to Bario. Miri-Bario: 45 minutes flight time. Cost: RM116.54 or about 26EURO/USD29 (one way). Aircraft: Small 19 Seater DHC-6-400 Twin Otter. So, Bario is this remote place right in the highland regions of Sarawak Borneo, and given its fabled remoteness, how do you actually get to Bario? Bario is situated in the deep interiors of Sarawak, right in heart of Borneo Island. 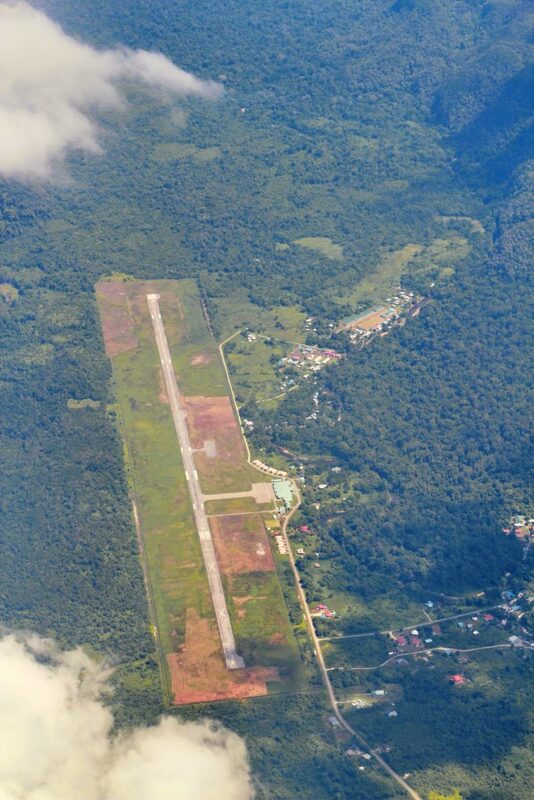 for the longest time, Bario was only connected to the world outside through the Miri Airport. 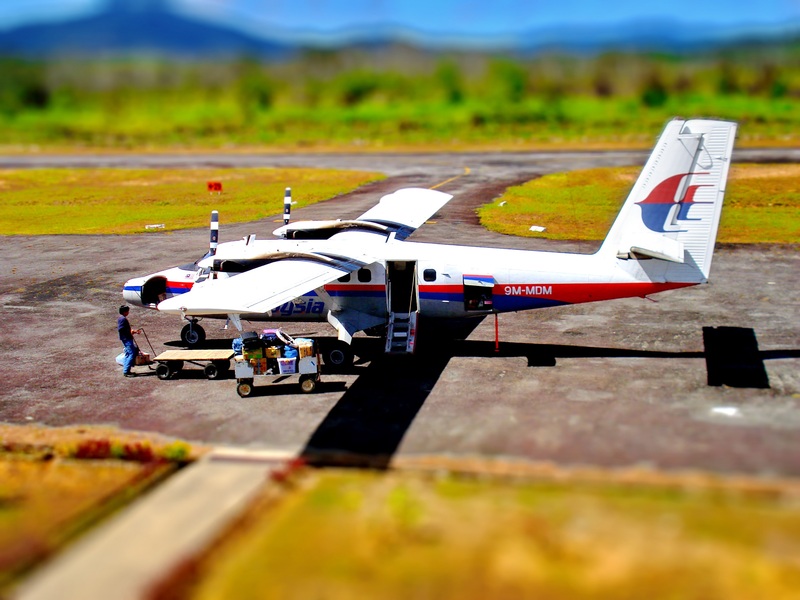 Everything was air flown in and out either directly, or via a stop-over at Marudi Airport. 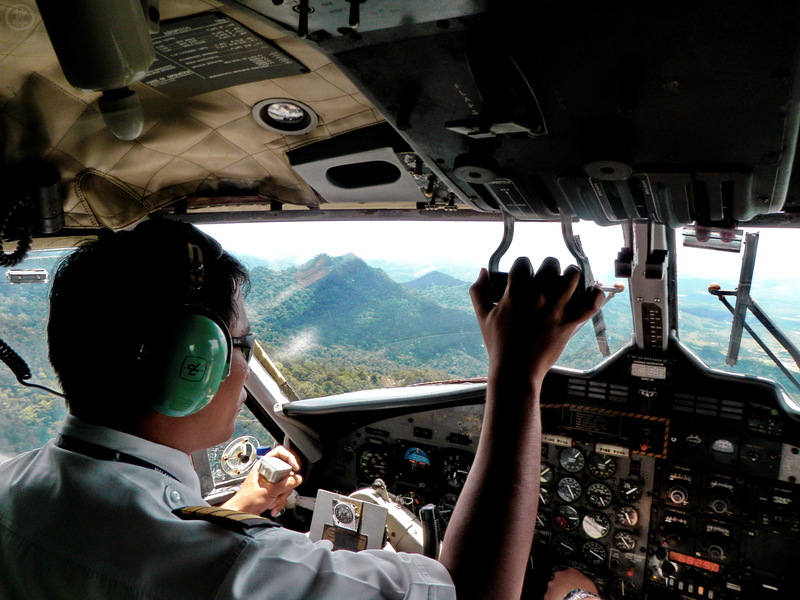 Today however, a dirt road has just recently reached Bario, so you now can get to Bario by land – but for most visitors, air travel is the fastest, cheapest and most convenient way of getting in and out of Bario. HOW TO GET TO BARIO FROM FAR FAR AWAY. If you’re asking from ouside of Malaysia, the Miri Airport is connected to a few international airports. It is directly connected to the Kuala Lumpur, Singapore, Kuching and Kota Kinabalu International Airports, and it is served by four airlines; MasWings, Air Asia, Malindo Air and Malaysia Airlines. So, if you’re in Hong Kong, you can fly DragonAir to Kota Kinabalu, and from there fly AirAsia to Miri, and hop on MasWings into Bario. Or if you’re in Holland, you fly KLM from Amsterdam to Kuala Lumpur or Singapore, then Malaysia Airlines to Miri, and hop on MasWings to get to Bario. Flight Bookings Quick TIP #1. 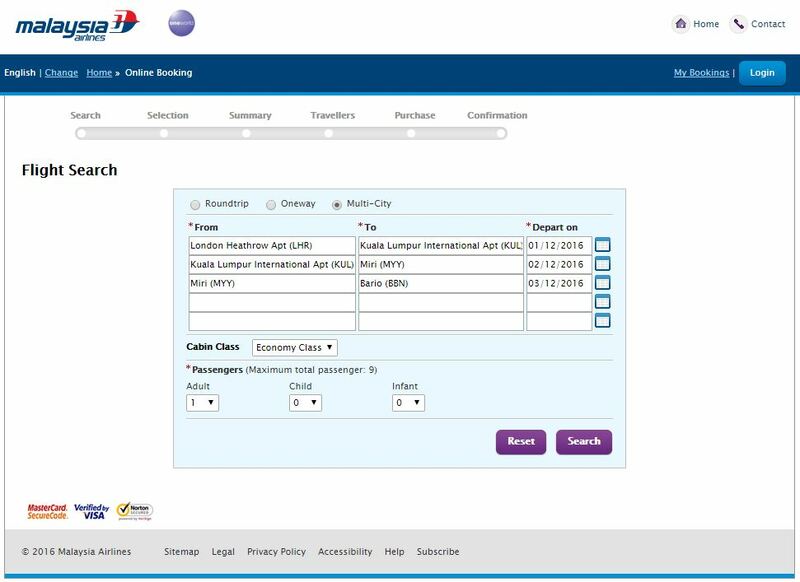 When booking online from overseas, the Malaysia Airlines flight booking portal can connect your Malaysia Airline flights all the way into Bario from some international airports near you. 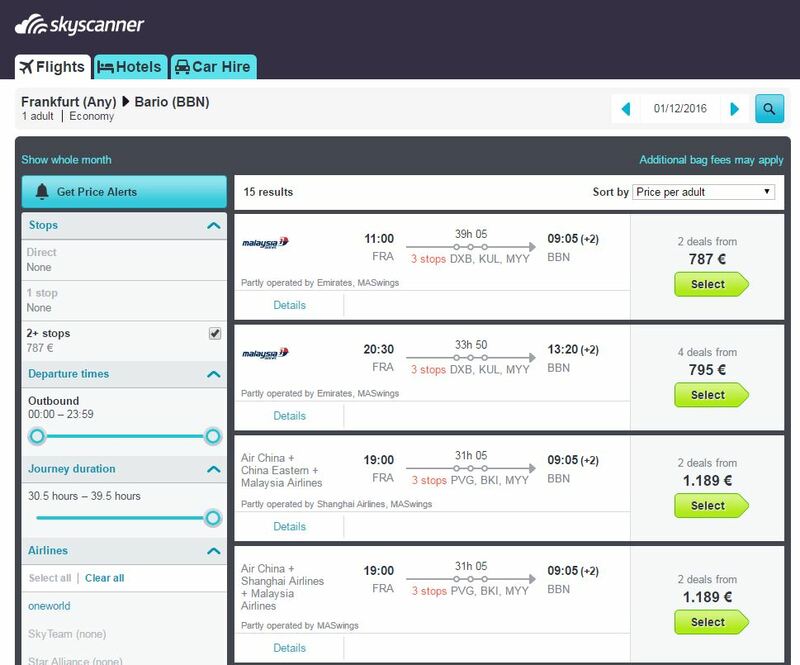 You can also use flight booking sites like Skyscanner to connect you direct, and it comes with ticket prices too. Skyscanner’s point to point flight planner. Just key in two ariports, and it does the connecting automatically. Or just Google! 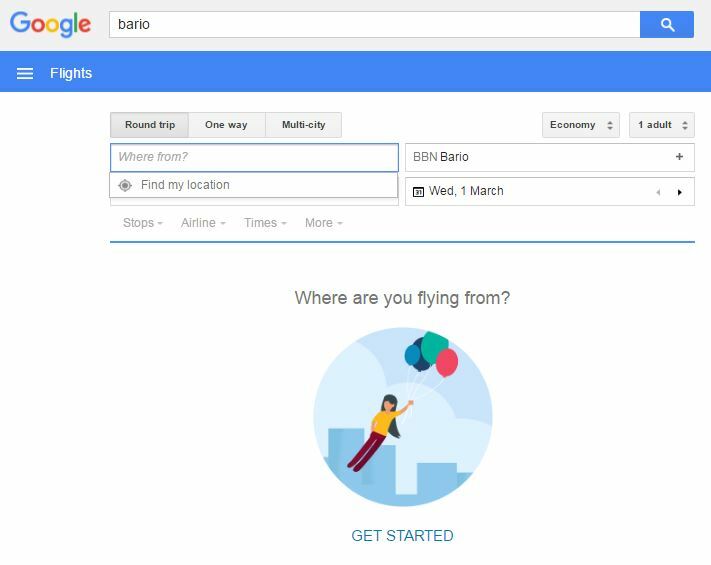 yourself a ticket from wherever you are to Bario. This is seriously cool! Click o the link above and try it. 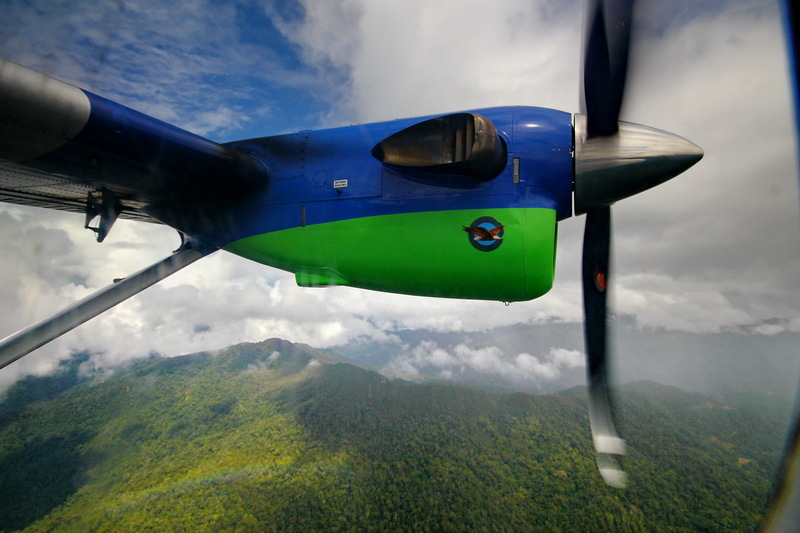 The flight from Miri Airport into Bario is on a small 19-seater MasWings DHC-6-400 Twin Otter, and the ticket price into Bario is RM116.54 (one way). For what it is, it’s actually a relatively cheap flight. 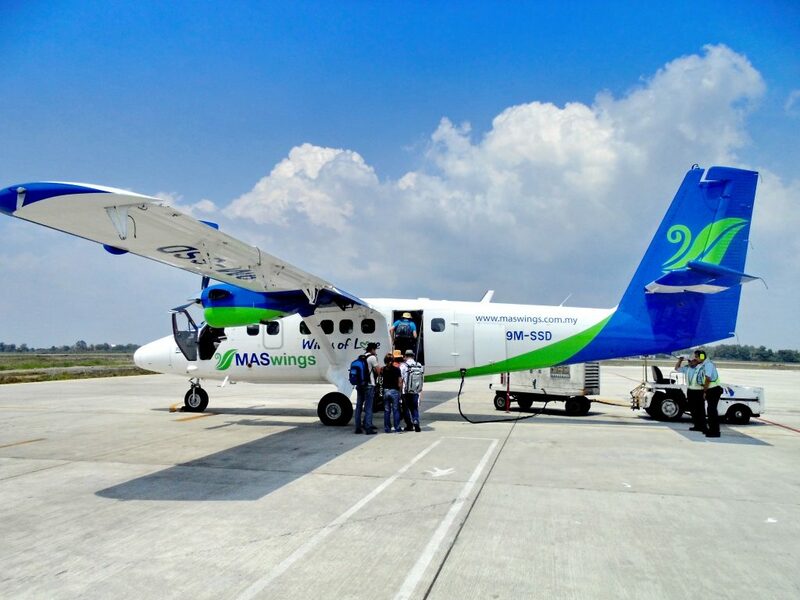 The MasWings Rural Air Services (RAS) flights are a public service run the Malaysian government’s to ensure that rural and remote areas of Sabah and Sarawak are adequately connected to the outside world. 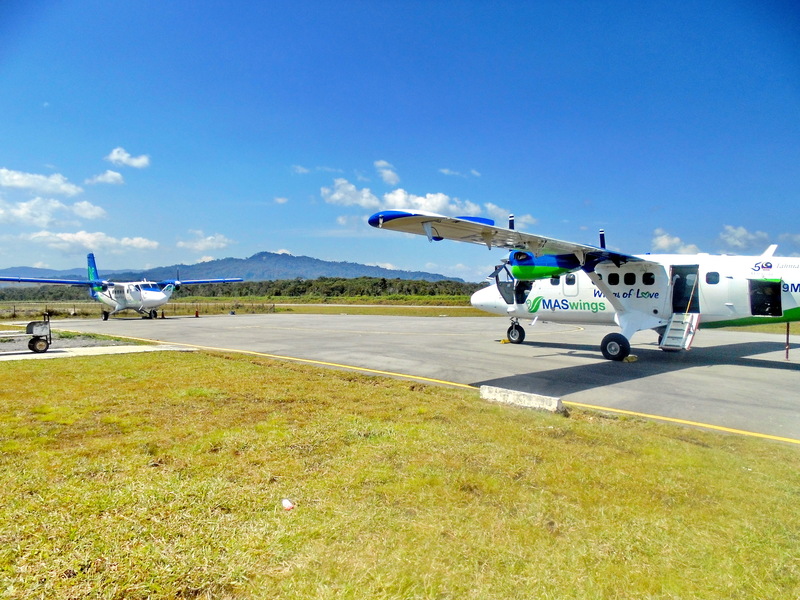 Without the government subsidies, it would cost passengers a lot more to fly into Bario. (estimates – RM400-500 one way – and that breaks even on a full load). It is a 178km (96 nautical miles) flight journey that takes 45 minutes; and flying at only between 7000-8000ft, there’s a lot of details to see below. One good way to know what you’re looking at below is to carry a GPS unit with you on the plane. (There might even be an Google map enabled mobile app out there that does this). Heading into Bario, the windows on the left offer quite a good number of things to look at. 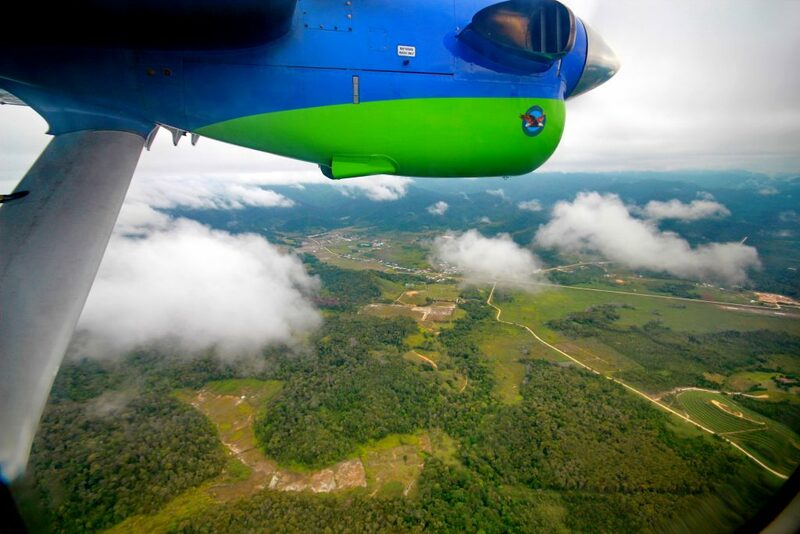 At one point, you’ll be flying just on the edge of the Sarawak-Brunei boundary, and you can see straight into Brunei territory (It’s the part of the trip where the trees and forest are untouched and very much green). 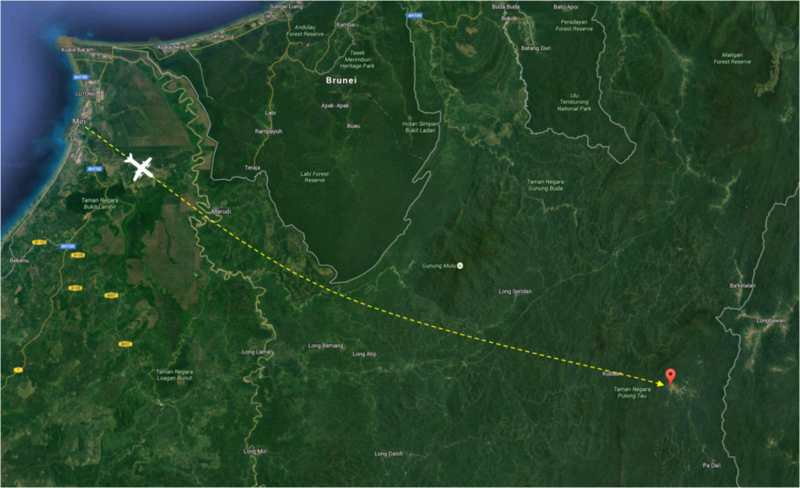 On the Sarawak side, there are logging tracks and palm oil plantations thousands of acres wide. 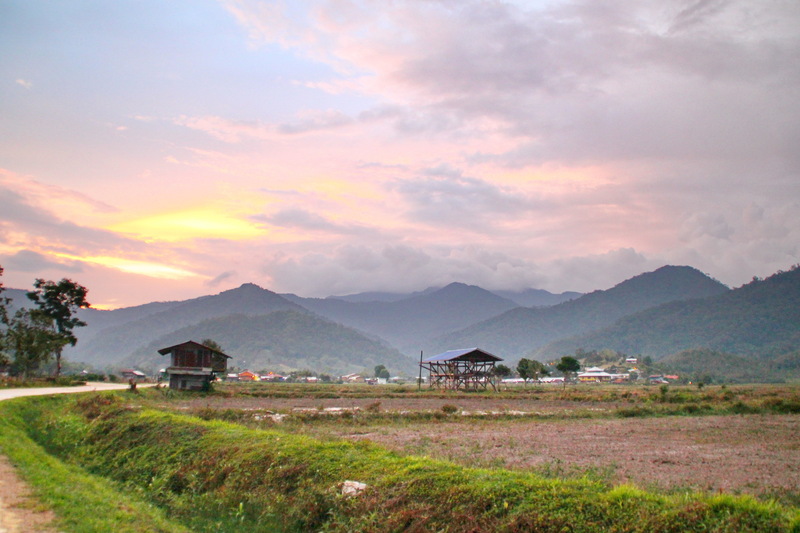 Mulu is where the flat lowland ends, and the mountainous range of the highlands begin. Mulu is where the flatland ends and the mountain terrain begins. 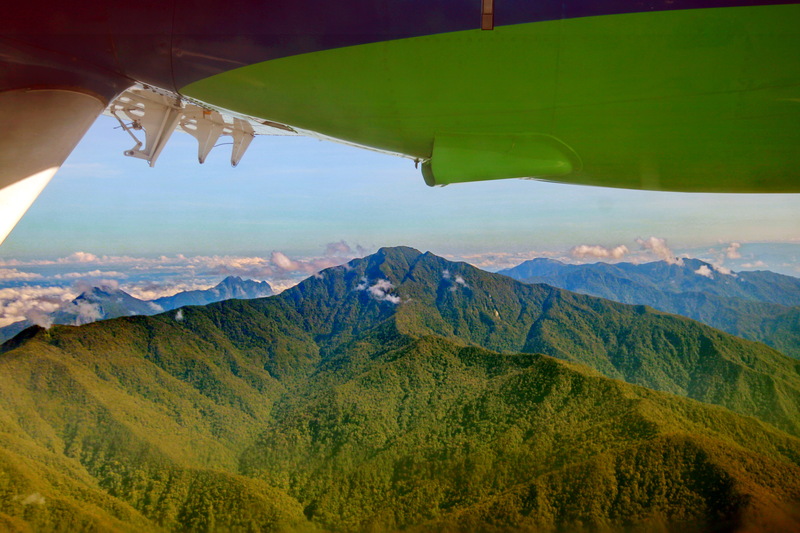 Before you get to Bario, you’ll see the Mulu airstrip, and the UNESCO World Heritage, Mulu National Park – home to Mount Mulu (Sarawak’s 2nd highest peak), and the world famous Mulu Caves. 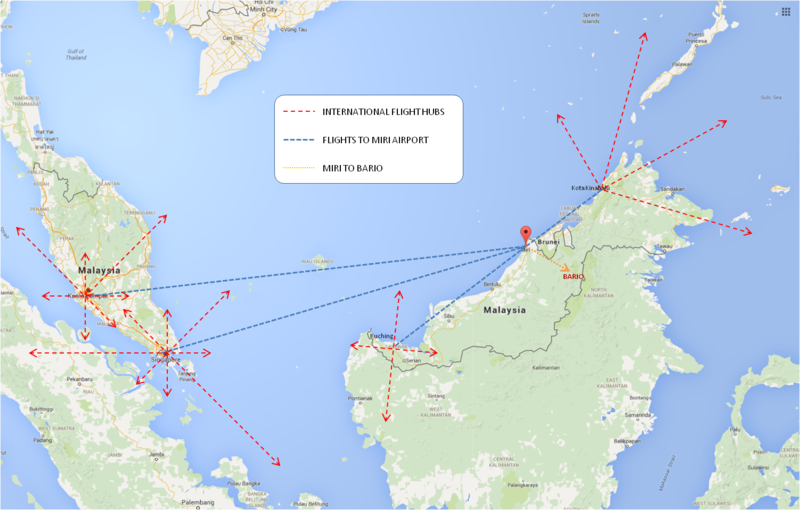 The Mulu Airport – with Direct flights to Miri, Kota Kinabalu, and Kuching. Mount Mulu, at 7795ft is Malaysia’s 5th highest peak. 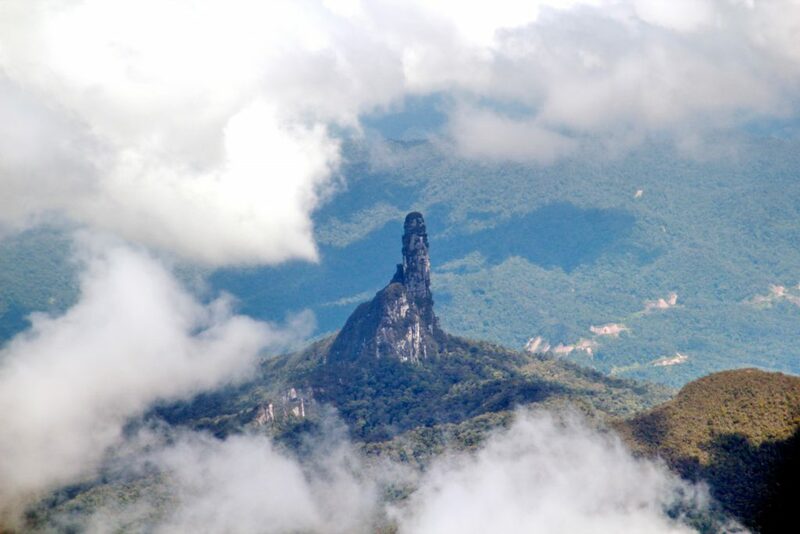 Somehwere in between, you’ll see a rock formation that looks like two fingers poking into the sky. This is Batu Lawi. It is a landmark that says ‘you’re in Kelabit country’. By foot, it’s 3-4 days trek from Bario. This is Batu Lawi. It is a Kelabit landmark that is etched deeply into the Kelabit identity. You’ll also see Sarawak’s tallest mountain – Mount Murud. Batu Lawi and Mount Murud in the background. 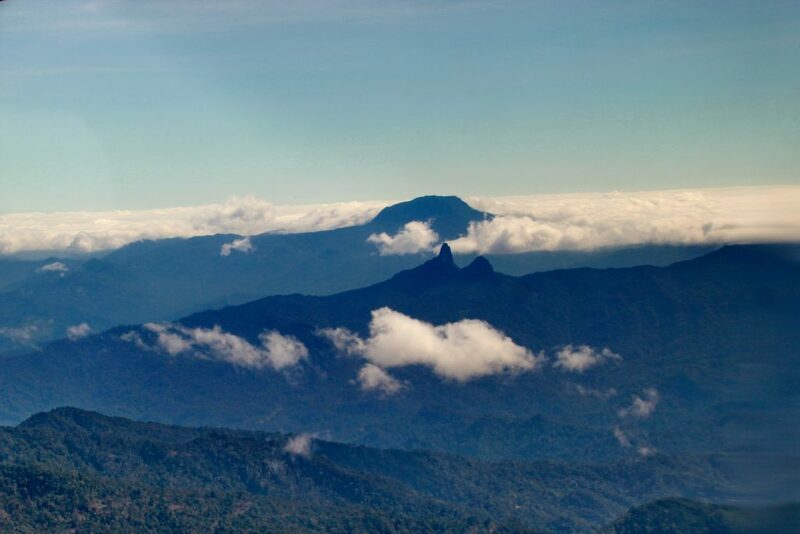 At 7946ft, Murud is Sarawak’s higest, and Malaysia’s 4th higest peak. Anabatic Winds and The Roller Coaster Welcome! 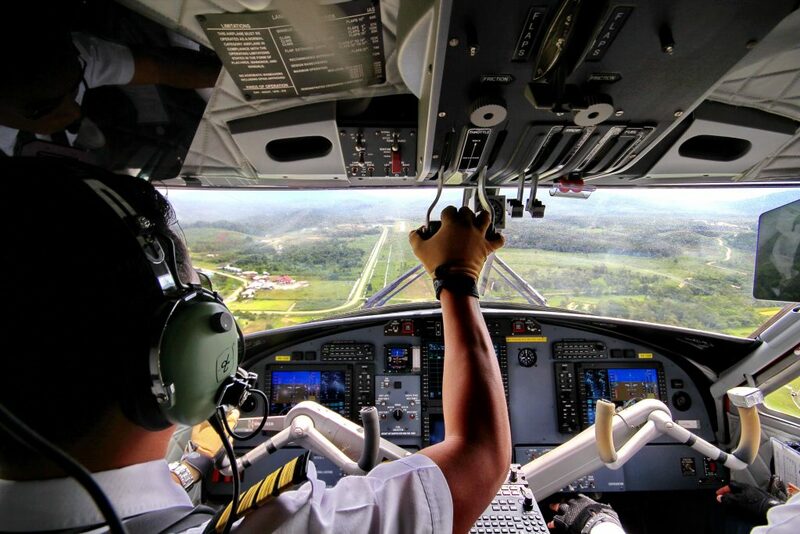 When you’re flying in, the early morning flights are usually the smoothest. 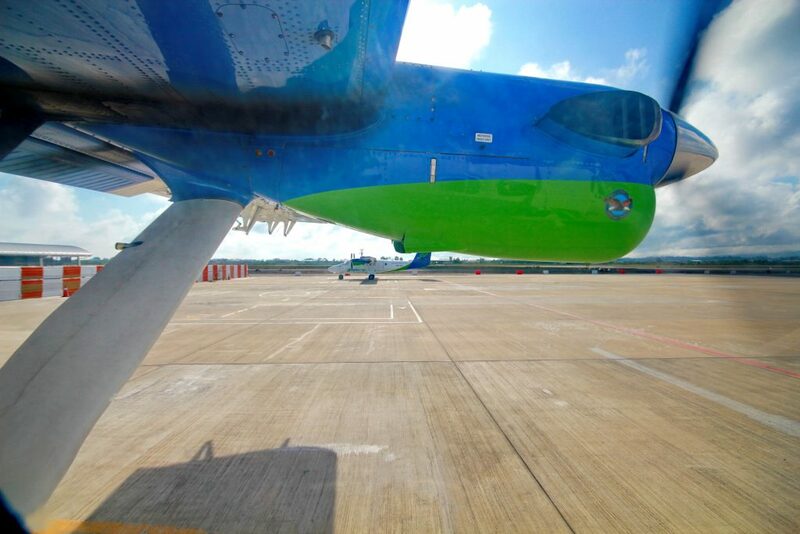 However, if you catch a late morning flight (10.45am – 11-ish flights) on a bright sunny day, that’s when the ride is usually bumpy at the tail end of the flight. 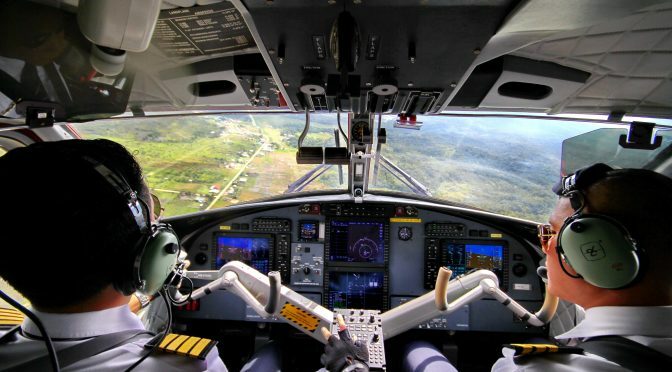 As the terrain get’s higher, the aircraft gets into contact with anabatic winds or updrafts from the many mountain ridges. The mountain range climb up to aircraft’s altitude. The thermals from the ridges makes for a bumpy ride. This happens when sun starts to heat the air in the mountains ranges, and this effect causes gusts and winds that blow updrafts along the valleys and ridges. This thermal effect is the cause of the bumpy rides as the aircrafts flies over and through these updrafts. 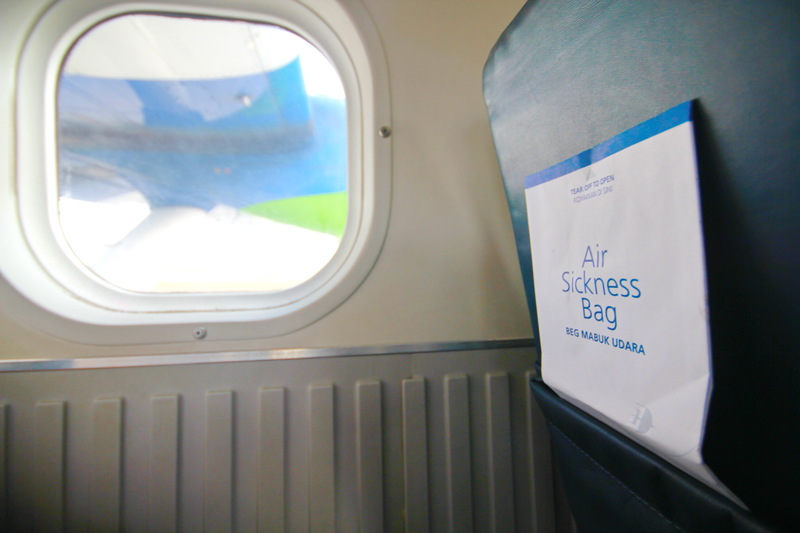 It’s all relatively safe, as the Canadian Twin Otters are powerful and robust planes, but it does give some passengers motion sickness, and for others, the fright of their lives. On a really bumpy day, I like to think of it as a mild-medium roller coaster ride, 7800ft in the sky. Sick Bags for your breakfast coming out the wrong end. The good news is, it’s usually a short roller coaster ride, maybe about 5 minutes worth. Once the aircraft flies into the valley, the roller coaster usually eases. 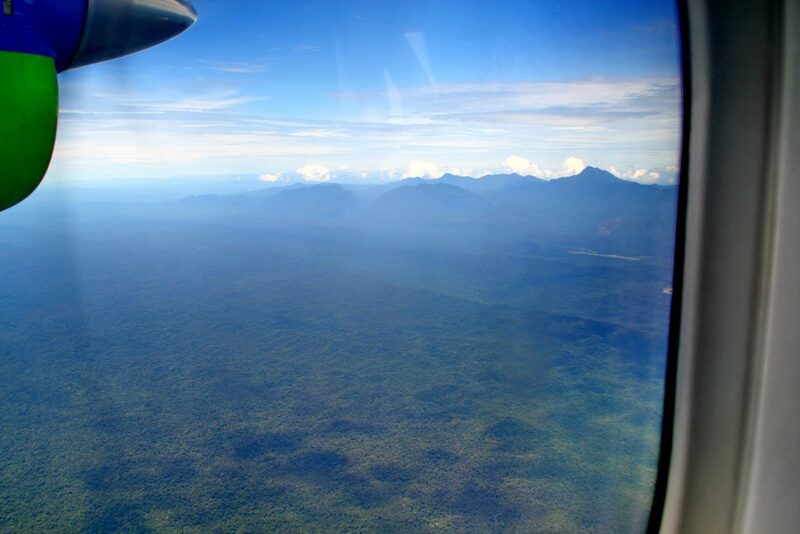 The aircrafts crosses the ridges and enters the Bario plateau. MasWing’s Captain Stefanus taking it in to land. Arrival at the Bario Airport. Back in the old days, as soon as you got out of the plane, everyone you meet at the airfield will greet you and shake your hands. They’ll ask you how you are, where you came from, and invite you to drop in for a meal, whoever you are (and this is not an exaggeration). Sadly though, that very confident and warmly hospitable generation is slowly disappearing. You’ll still get the an old Kelabit guy or lady walk up to you and do just that, but that’s probably 2 out of every 10 persons at the airport now. But if you’re in need of any help or advice, everyone will gladly come to your aid. So don’t be afraid to ask for assistance from anyone around. You’re now in Bario, and everyone is a friend. Problem: If you’re travelling through Sarawak on a tight schedule, but you can’t book a seat out of Bario on the day you want to get out, don’t give up yet. It may not mean what you think it says. Because of Bario’s remoteness, available seats out of Bario are not accurately reflected in the online booking system. Solution : You can liaise with your Bario accommodation provider to help you check for, and arrange a seat out of Bario in instances where the online booking system tells you that there are no seats out of Bario. These seats are allocated in the Bario Airport itself, so your contacts up in Bario can better help you get a seat out. Alternatively, the other way you can get to bario is by 4Wheel Drive vehicles. But that’s for another time.